Other early flights in Japan included the glider flights of Navy Lieut Shiro Aihara. 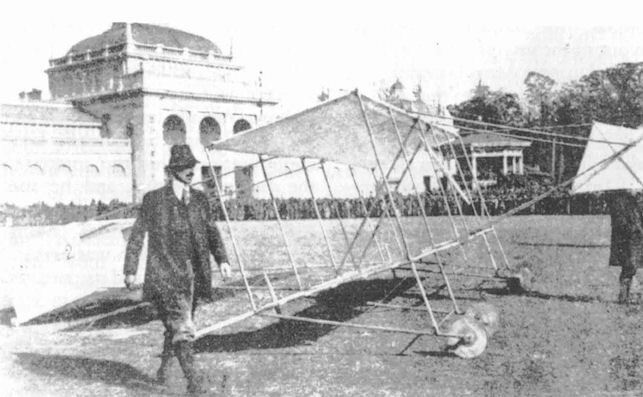 With the assistance of the French Military Attache, 2-Lt Leprieur, who had witnessed flights in France, they built a glider using bamboo for the structure, and made gliding tests with an automobile as a tug in December 1909 at Ueno Park. This was the first glider flight in Japan. Aihara was one of three Naval officers assigned to the Provisional Military Balloon Research Association. In this capacity, he was sent to Germany on 19 February, 1910, to study aeronautics. While on a training night on 4 January, 1911, he was thrown from the aeroplane during an emergency landing and died from injuries four days later.